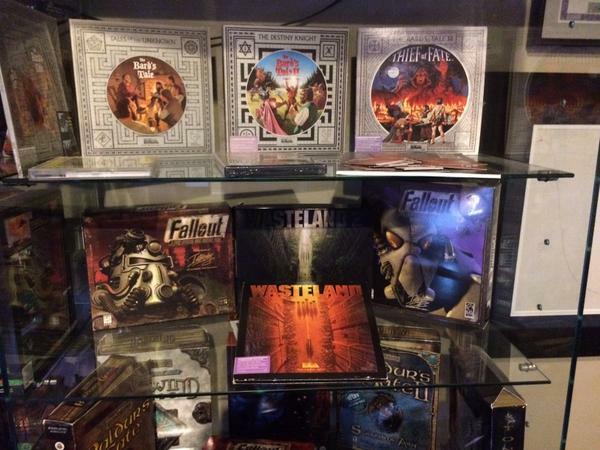 I'm a Wasteland 2 backer who pledged enough money to get a Collector's boxed copy of Wasteland 2. All the process involved with the physical edtions' producing and shipping has been extremely disappointing so far due to delays and the presence of a Steam code instead of a DRM-Free code (but that's an issue that inXile solved in a pretty desirable way I must say). Aside from that, the fact that I'll receive a metal box instead of the old-school cardboard one makes me feel very sad; mostly because I'm interested on starting a collection including this kind of boxes by buying the classics I like the most or just picking the ones with a good cover art. 1) The inclusion of the regular box (http://static.giantbomb.com/uploads/ori ... +front.jpg) inside of my metal box. This would be the most pleasant solution of all by far. 2) The inclusion of the regular box with the DRM-Free disc I'm supposed to get during the next months (the one inXile will ship for free to people upset with the Steam Code included in their boxes). 3) The possibility to buy an empty regular cardboard box at a cheap price. I remember a tweet where Mr. Fargo said some words about selling the KS boxes separately, and though it's an idea I actually don't support since it kills the "magic" and exclusivity of owning some backer-only goodies; it would be a nice way to solve this particular problem (even more if I'm not forced to buy the game twice). I don't think I'm asking for too much (c'mon, it's just a piece of cardboard), but it's still something very important to me and definitely determinates my level of satisfaction as a backer. Last edited by Andross on December 2nd, 2014, 2:18 pm, edited 1 time in total. That being said, I quite like the idea of option 2 there: putting the Steam-free disc inside the standard box. It needn't include a second map, manual, etc, just the box would be fine. But I wager that's unlikely since it would probably jack up the shipping costs considerably. Option 3 is a nice backup. Option 1 is probably unlikely since A) they've started shipping and B) I don't know if it'd fit. If it is any consolation, the "old school" boxed copy does not have a very old school vibe. Honestly, I don't think I ever got a game that came in a flat shoe box before, the design seems more contemporary than old school. Drool wrote: That being said, I quite like the idea of option 2 there: putting the Steam-free disc inside the standard box. It needn't include a second map, manual, etc, just the box would be fine. But I wager that's unlikely since it would probably jack up the shipping costs considerably. Yeah, I'm going to delete option 1, since it was written several minutes before the update was posted. shaigunjoe wrote: If it is any consolation, the "old school" boxed copy does not have a very old school vibe. Honestly, I don't think I ever got a game that came in a flat shoe box before, the design seems more contemporary than old school. Also, it looks like it doesn't need to be thicker comparing to the content's size. 1. We're happy to change your reward level if you'll contact us at the Ranger Center and send you a standard boxed copy out in a later shipment, but please bear in mind that if your Collector's Edition copy has already shipped then there is not a lot we can do on this. Note, some tiers ($150 and above) get both the Collector's Edition and the standard boxed copy so you might get both depending on your specific reward level regardless. 2. The Steam-free discs are shipping in a separate case and not in one of the backer boxes (standard or Collector's Edition), nor do you get duplicate boxes. These are being done by us on the side at our own additional cost for the specific backers who requested it, and are not integrated into Deep Silver's manufacturing/shipping pipeline. It's not feasible for us to print such a limited run of discs, ship them to Deep Silver, have Deep Silver manufacture extra boxes and extras, put those special into the boxes, re-assemble them, and then ship them again to backers. So, the solution we have is that you effectively get both a Steam copy of the game in your normal or Collector's Edition box, and the additional disc at a later date. What you do with the original Steam disc and key you got (in addition to your other downloadable copies from Steam and GOG.com) is up to you. 3. This seems redundant given point 2.
sea wrote: 1. We're happy to change your reward level if you'll contact us at the Ranger Center and send you a standard boxed copy out in a later shipment, but please bear in mind that if your Collector's Edition copy has already shipped then there is not a lot we can do on this. As a late backer who paid 170$ will I get that sweet standard box? This sounds extremely confusing to me, since it's the first time that I read about getting both the Collector's Edition and the standard box. Probably I didn't understand your first statement, so tell me if I'm wrong. Just an empty version of the cardboard box to put on my shelf. I'd have to look into that regarding late backers but I think it might be the same for the purposes of simplifying our SKUs. If you can PM me your Ranger Center email address I can check your account as well and see what SKU you are using (which is related to but not identical to your reward tier). sea wrote: I'd have to look into that regarding late backers but I think it might be the same for the purposes of simplifying our SKUs.